A note on the original mounting board reads: "Forestry. 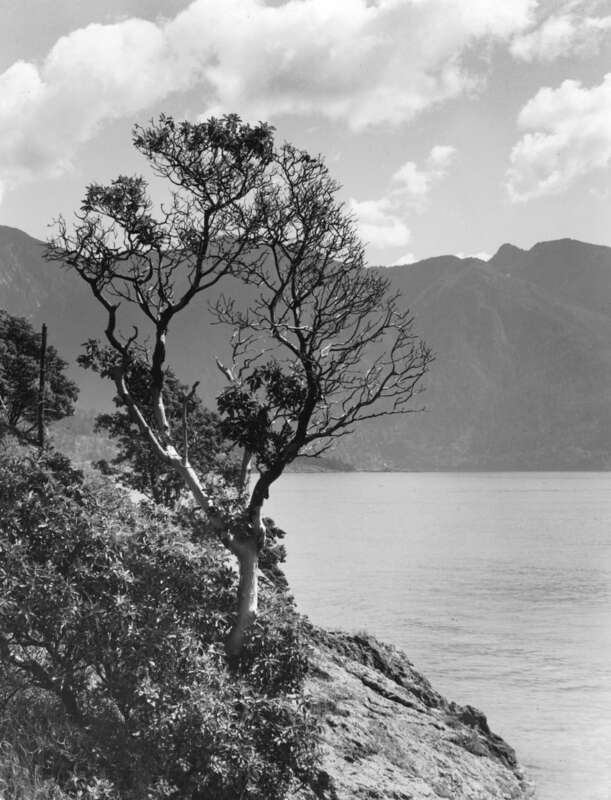 The Arbutus Tree on Watch. Island Summit, off Hood Point, Howe Sound, Vancouver, B.C. Van. Nat. History - Timms."